Here's the Go Proposal Review Committee's Statement — In issue 208, we jumped the gun by saying vgo had been officially accepted but now it really has. It's fair to say a number of issues remain to be worked out and library authors and other Go developers will need to change some practices around using and releasing libraries as the year goes on. Hugo switches from dep to vgo - "This was surprisingly painless." We'll be sure to keep you up to date with tutorials, guides, and news as the consequences unfold. Fix Production Bugs in Seconds with Sentry — You’re relying on users to report bugs? Use Sentry to fix production issues in real time, right in your existing workflow. Cut time to resolution from 5 hours to 5 minutes. Sentry is 100% open source and loved by 500K developers. Sign up for free. JSON APIs Are Just Web Applications — An epic refactoring of an existing Go web application to separate domain and repository concerns to enable easily offering both HTML and JSON-based endpoints. From 'godep' to 'vgo', A Commentated History — The story of how dep and vgo came to be along with a (slightly negative) reaction to vgo being officially accepted over dep. Getting Started with GraphQL from Go — Learn how to use Go to both query and mutate data using GraphQL. If you want to understand GraphQL itself, this is a good language agnostic intro. Building a Microservice in Go Following the CQRS Pattern — This thorough tutorial has it all: Go, Nats, ElasticSearch, PostgreSQL, Docker, and more. 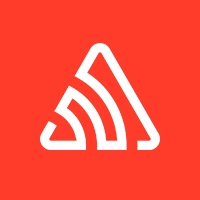 Software Engineers at JumpCloud (Boulder, CO) — JumpCloud is solving complex problems around authentication, security and cloud scaling. Go Expert? Sign Up for Vettery — Top companies use Vettery to find the best tech talent. Take a few minutes to join our platform. Packaging a Go Application for macOS — You don’t even need Xcode. The Web Is Broken; Let's Fix It — The O'Reilly Podcast: Brendan Eich on disrupting advertising, decentralizing payments, and privacy by design. vgo: A Broken Dependency Tree Example — A quick example where vgo picks the wrong version of a dependency and breaks the build. Worth reading the comments on this one too. How to Create a Search Microservice — The search engine of choice here is ElasticSearch. Tidis: A Distributed NoSQL Database That Supports the Redis Protocol — Uses tikv (a distributed, transactional key/value store) as a backend. QFrame: An Immutable Data Frame Structure for Go — Data frames have a lot in common with tables. httpstat: Colored Visualization of HTTP Request Stats — See HTTP headers, the speed of DNS lookup, initial TCP connection, etc.